No matter how much energy you use around your home or office, your provider will charge you through an energy tariff, which determines how much money you need to pay for gas and electricity. There any many different types of energy tariff, but the most popular are fixed rate tariffs and variable tariffs. 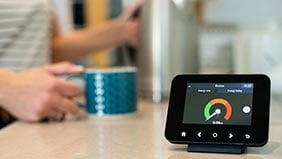 This guide will run through each type of so you can work out which is best for you and your budget, should you want to switch energy supplier. 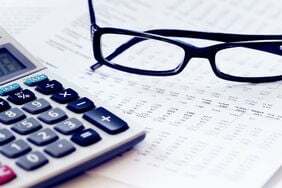 What types of energy tariff are available? Although there are many different types of energy tariffs, they aren’t particularly complicated and fall into eight main categories each with their own benefits and drawbacks. A fixed rate tariff, also known as a fixed price tariff, sets a specific price for your gas and electricity until a defined end date. These contracts generally run for a year and will usually offer some of the cheapest rates on the market. And because your rates are locked in for a fixed period, this type of energy deal can protect you against any rises in energy prices, meaning you’ll have peace of mind if electricity and gas prices suddenly increase. On the flip side, those fixed rates mean you’ll not feel the benefit if energy prices are cut. And while fixed rates are usually cheap, the exit fees charged by some suppliers for ending the contract early can be relatively high. So, although you may save money on a monthly basis, if you want to leave the deal for any reason, you could end up out of pocket. If your fixed rate deal does impose an early exit penalty, you can sidestep this completely if you wait until your deal has 49 days or less left to run. Once you enter this period, you can shop around and switch without paying any additional fees. It’s also worth knowing that, despite the name, it’s unlikely you’re fixed rate will mean you’ll be paying the same amount for energy each month. The term ‘fixed’ refers to the price per kilowatt of gas and electricity used, which means the amount of energy you use will affect the price, so it’s helpful to try and keep your usage down to reduce your bills. Variable rate tariffs, also referred to as standard tariffs or even ‘evergreen tariffs’, are your supplier’s default price plan. You may find yourself on this type of tariff if you’ve never switched supplier or you didn’t switch before your last fixed tariff ended. The standard prices that are offered by suppliers are usually among the most expensive and they will increase or decrease depending on market value. This could work in your favour or against you. Although this may end up as a pricey option, there aren’t usually exit fees with this type of tariff, so if you want more flexibility this may be best for you. As the name suggests, dual fuel tariffs provide both gas and electricity from the same supplier. This is helpful when switching, as you don’t have to switch the two separately and everything is in one place. With this extra convenience, you only have one point of contact for all your energy needs. Also, many providers offer a discount if you get both gas and electricity from the same company so this could result in some savings. However, it’s important to check if the savings from this discount outweigh the cost of two separate energy deals. A prepayment meter allows you to top up your gas or electricity before you use it via a corresponding prepay token, smartcard or key. Most energy suppliers provide this type of tariff and it could provide a beneficial way to manage what you’re spending on energy. You may find yourself on this type of tariff if you inherited a prepayment meter at a house you’ve recently moved into or if your supplier has requested you move to this type of tariff after a debt on your account. A prepayment tariff is one of the most expensive types of energy deal and your supplier may not allow you to leave this tariff if you are in debt. However, because the tariffs are capped by Ofgem, suppliers cannot charge more than a specified unit rate, which is calculated and updated twice a year. As the name suggests, online tariffs are managed via the internet. Your meter readings for gas and electricity will be recorded online and you pay your bills via an online account or they will be emailed to you. You can still set up a monthly direct debit for convenience or some companies may even have an app where you can pay your bills on the go. This type of tariff is best for you if you prefer to manage your bills via the internet, it’s also one of the most environmentally friendly options as it’s paperless. However, should you need help with your account, you can still contact your supplier via the phone. Online tariffs can be either fixed rate or variable depending on your preferences, and dual fuel options will also be available. So, if you opt for a fixed rate online tariff ensure you check the terms and conditions, as you may be charged for leaving early. If in doubt, try to switch within the last 49 days of your deal to avoid expensive exit fees. Time of use tariffs alter the price of your gas and electricity depending on the time you use them. These types of tariffs include ‘Economy 7’ and ‘Economy 10’ and will generally offer cheaper energy during certain hours when there is lower demand on the national grid. For example, Economy 7 tariffs offer a low cost rate for electricity for 7 hours each night – this will be cheaper than the remaining 17 hours in the day. 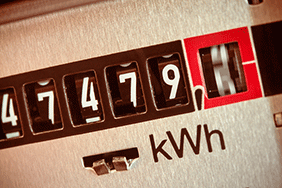 For time of use tariffs, a meter is fitted in your house to show unit rates for the day and for the night. This type of tariff is handy if you know when you’ll be using your gas and electricity and if it fits in with the times allocated on the tariffs. If however, you’re likely to go over these hours and don’t have scheduled times you’ll be using electricity, it might end up costly. Like fixed rate tariffs, capped tariffs guarantee that the price per unit of electricity or gas will not go up. However, the main difference is that with a capped tariff, the price could go down and benefit you. Because the prices cannot rise, capped tariffs are often quite pricey compared to other types of tariffs, however they’re good for peace of mind as you won’t receive any unexpected fees. 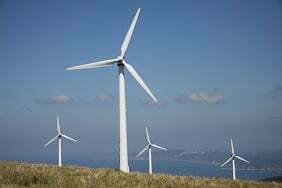 Finally, green tariffs are the most environmentally friendly types of energy tariffs. They work by matching your energy usage by generating the same amount of energy from renewable sources, such as solar energy or wind farms. Such suppliers usually guarantee 100% renewably sourced electricity and some go further and include 10% renewably sourced gas. However, always read the small print from your supplier as they will let you know what proportion of your energy is renewable. These types of tariffs are best for the environment but are also not too harsh on your pocket and offer some of the cheapest rates available. If you’re a business owner, you’ll need to take out an energy tariff that’s been designed for commercial properties. Even if you work from home, if at least 50% of the energy you use is for business purposes, you might benefit from a commercial energy deal. These differ from domestic deals in a number of ways, the main difference being there is no dual fuel option, so you’ll need separate contracts for gas and electricity. 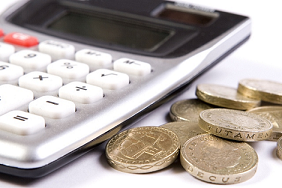 If you want to cut the cost of your energy bills, switching supplier is the simplest way to save money. To get a start on your energy price comparison and browse various tariffs, simply click the ‘COMPARE’ button at the top of the page. For more information on how to switch, check out our energy switching guide. 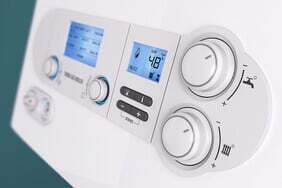 Appliances: How much do yours cost to run? Confused by all the different energy tariffs on offer? Find out more about the deals on offer so you can switch with confidence. Confused by your energy bill? 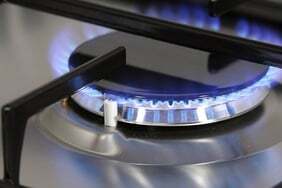 Find out how to read your gas and electricity bills. Confused about the best way to pay your energy bill? Find out more about the payment methods you can use. Confused about smart meters? Find out what they are, how they work and more. If your home suffers a gas leak, following these safety guidelines can help keep you and your family safe. We explain how to read your gas and electricity meter, and why this could be an important way of cutting your utility bills. An energy-efficient alternative for cooking smaller meals. What's involved in the switching process? We answer your questions.